Situated in Streaky Bay, this apartment building is within a 10-minute walk of Streaky Bay Jetty, Streaky Bay Hospital and Health Services, and Streaky Bay National Trust Museum. Streaky Bay Golf Course is 0.5 mi (0.8 km) away. Situated near the bay, this cabin is within 1 mi (2 km) of Streaky Bay Jetty, Streaky Bay Golf Course, and Streaky Bay National Trust Museum. Streaky Bay Hospital and Health Services and Murphy's Haystacks are also within 32 mi (52 km). 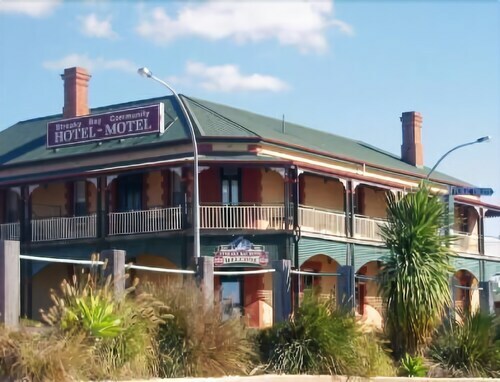 Located in the heart of Streaky Bay, this motel is within a 10-minute walk of Streaky Bay Jetty, Streaky Bay Golf Course, and Streaky Bay National Trust Museum. Streaky Bay Hospital and Health Services is 0.5 mi (0.9 km) away. 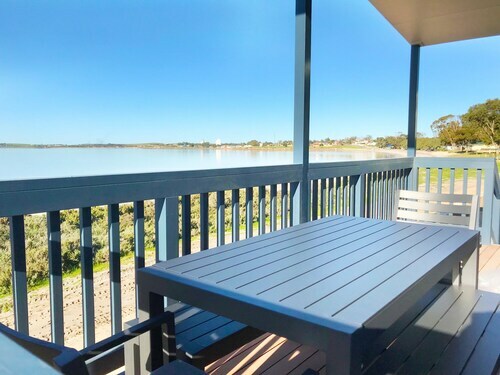 Situated by the ocean, this apartment building is within 16 mi (25 km) of Streaky Bay Jetty, Streaky Bay National Trust Museum, and Streaky Bay Golf Course. You'll struggle to find any accommodation in the middle of Streaky Bay. There's just 1 hotel within 10 kilometres, so you should plan your stay in advance! Wotif suggests staying at the Streaky Bay Hotel Motel, as it's the only available hotel near the main areas. You'd be a Wally to head off without doing some exploring in Eyre Peninsula. Eyre Peninsula offers beaches and lakes, along with commonly visited Eyre Peninsula sights like the history museums and open-air markets. Adventurous tourists can try four-wheel driving, shore fishing and culinary tours. Positioned 85 kilometres to the northwest of Streaky Bay is Ceduna, which has a number of hotels and apartments. Options here include the Ceduna Foreshore Hotel Motel and Highway One Ceduna. Ceduna Airport is 80 kilometres away from downtown Streaky Bay. 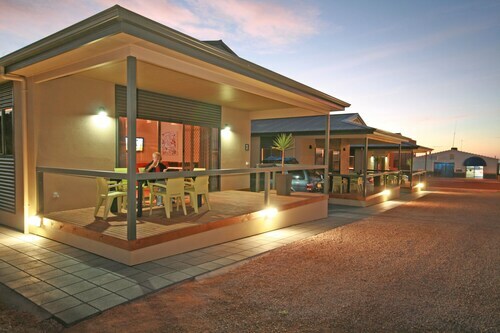 If you wish to stay close by, you can book a room at the Ceduna Motor Inn or the Ceduna East West Motel. How Much is a Hotel Room in Streaky Bay? Hotels in Streaky Bay start at AU$123 per night. Prices and availability subject to change. Additional terms may apply. Great clean units, however massive line up on check-in and sending one of the check-in people on a break just before serving me makes you feel that guests are an inconvenience. Views were stunning accommodation was nice, just don't leave out any food or drink in the cabins as there is a massive ant problem. Lovely setting with magnificent views across the water to Eba Island and beyond. Totally relaxing. 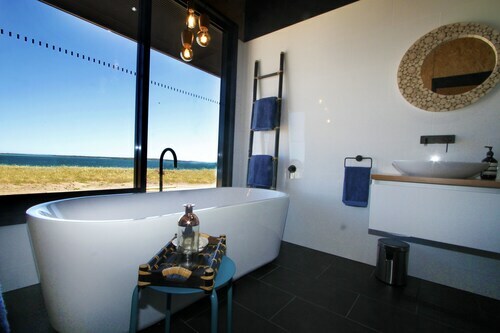 The property was clean and upmarket - a real jewel on the Eyre Peninsula.